A bill is an important part of a transaction. It is not only important as a proof of the transaction but is also important as a transaction record which is to be used for various financial purposes. If you run a business where you have direct transactions with your customers, you need to have a bill format of your business. If you don’t have one at present, you can make use of the below given Excel bill templates. 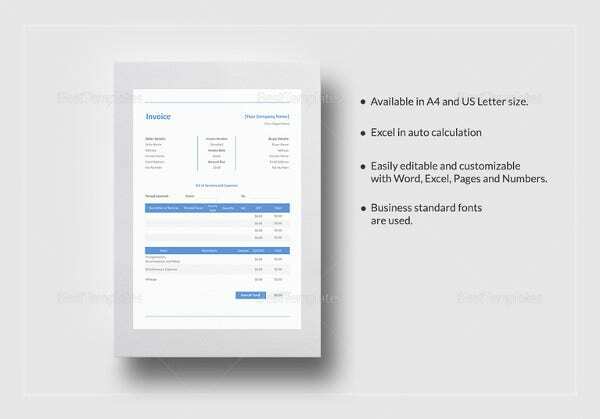 Invoice templates are very useful for making invoices. 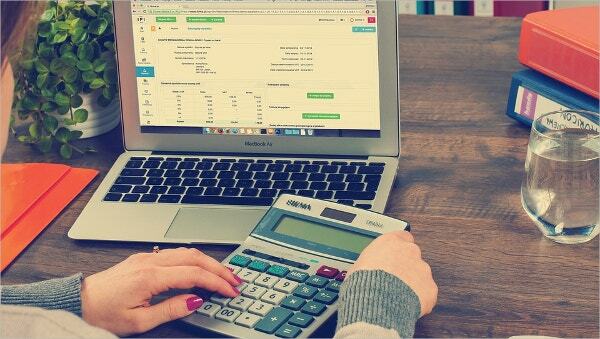 This Excel bill template will be of help to you in giving guidelines regarding the use of various Microsoft Office tools for making spreadsheets, doing complex calculations and various other uses. 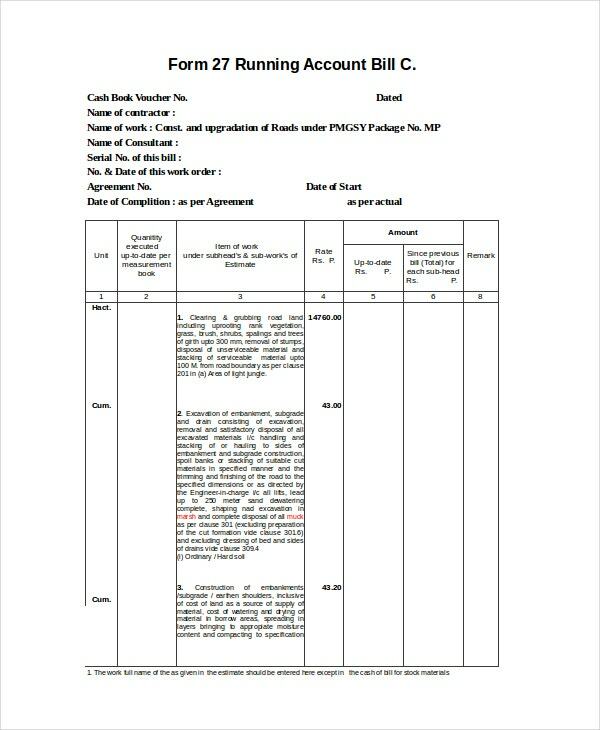 This is an Excel bill template that can be used to create a bill which has to be given to a buyer of various materials. > How to Use an Excel bill template? Excel bill templates are very easy to use. The bill templates can either be directly used or need some editing before being usable. The part of the templates that needs editing will be the one where the name of the business is written. You will have to remove that name and write the one of your business. 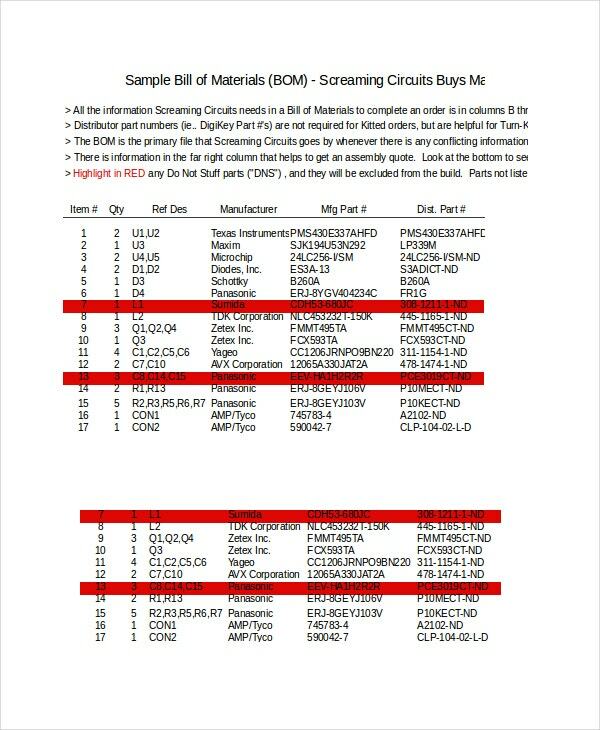 You will also have to remove the sample billing details that have been written. 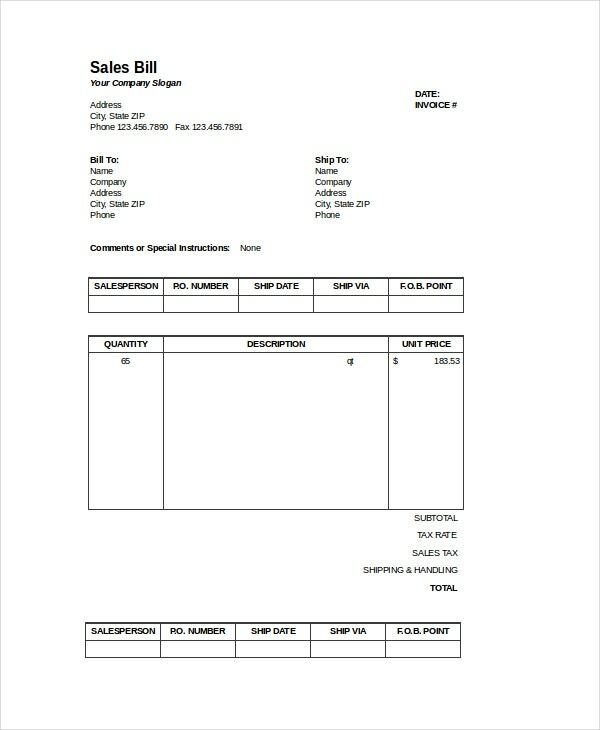 To fill the blank art of the template, you have to write various details about the purchase, name of the item, amount of items purchased, their price, total bill amount, etc. 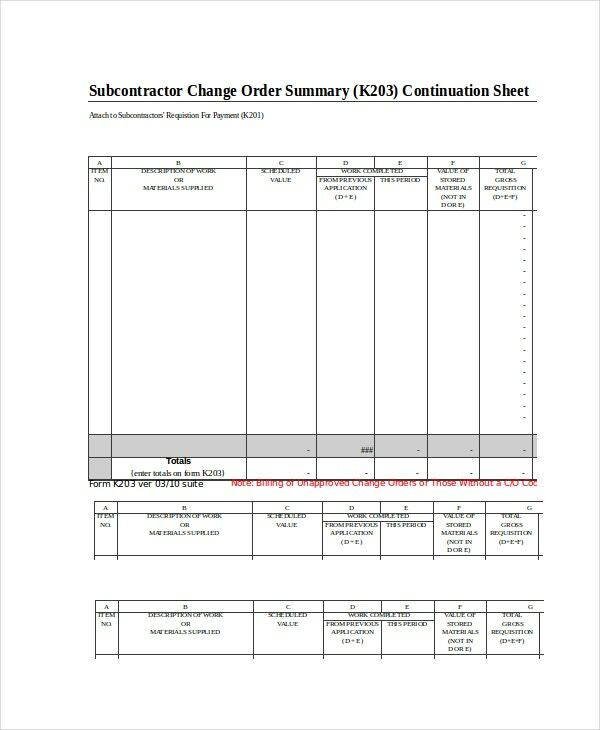 If you want to create a bill for various tasks that are to be performed for construction of a site, you can make use of this Excel bill template for doing so. 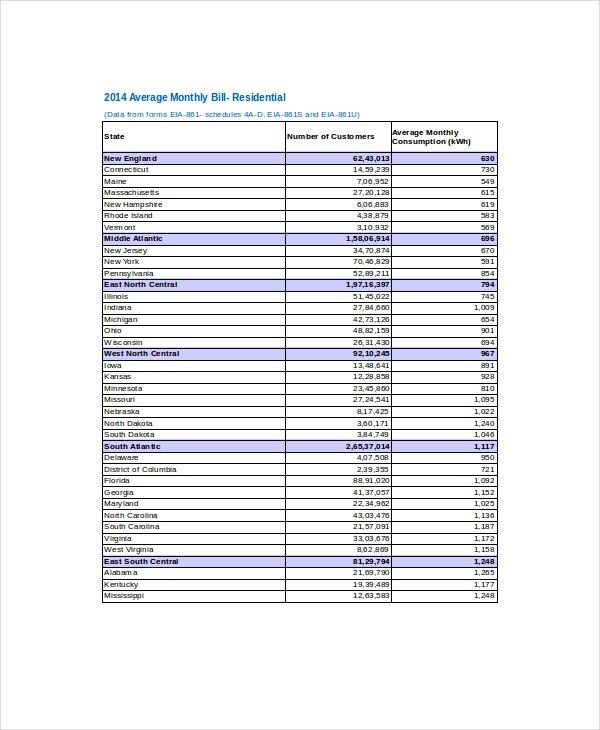 This is an Excel bill template that will be useful for calculating the average bill of a group of individuals or organizations by taking into account the number of bills and their amounts. > Who can Use the Excel Bill Templates? 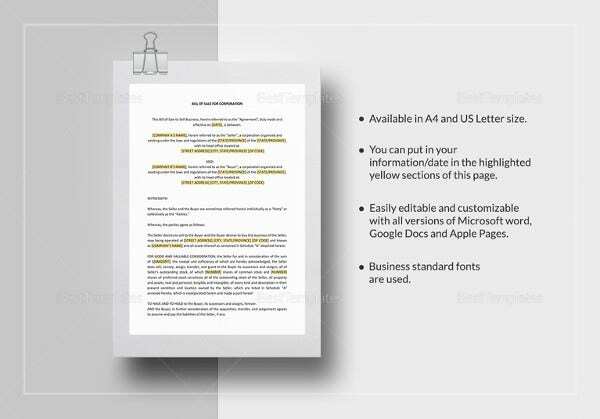 Different types of bill templates can be used by different types of businesses. 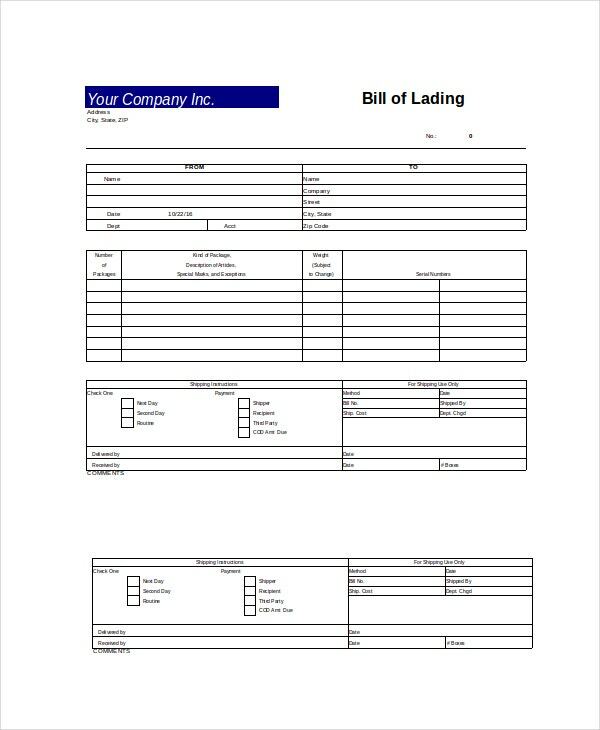 Bill of lading templates can be used for shipping of materials to various places, with the bill having details of the cargo that is to be shipped. 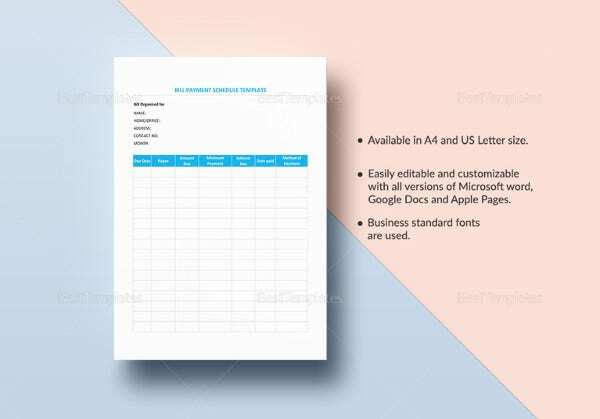 Bill of material template can be used by dealers of various raw materials which the buyer combines to manufacture an end product. 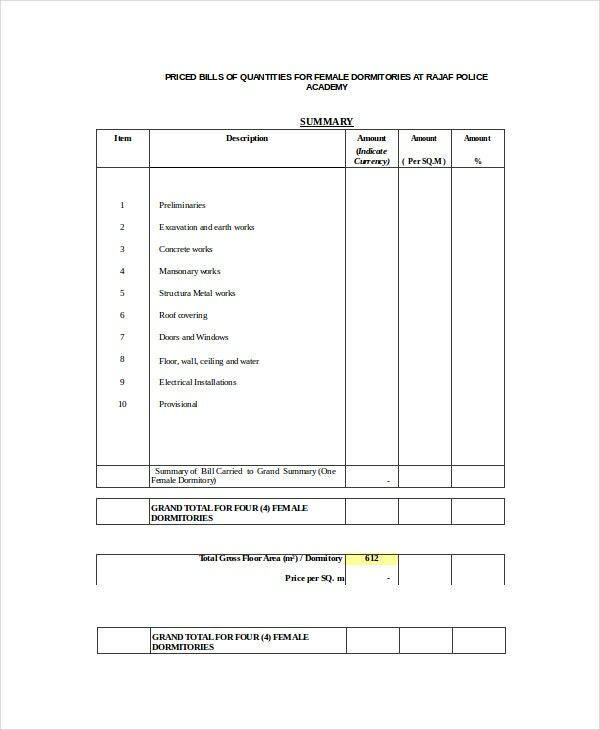 For those in the construction business, bill of quantities can be used by you to give a bill of your services to your customers. 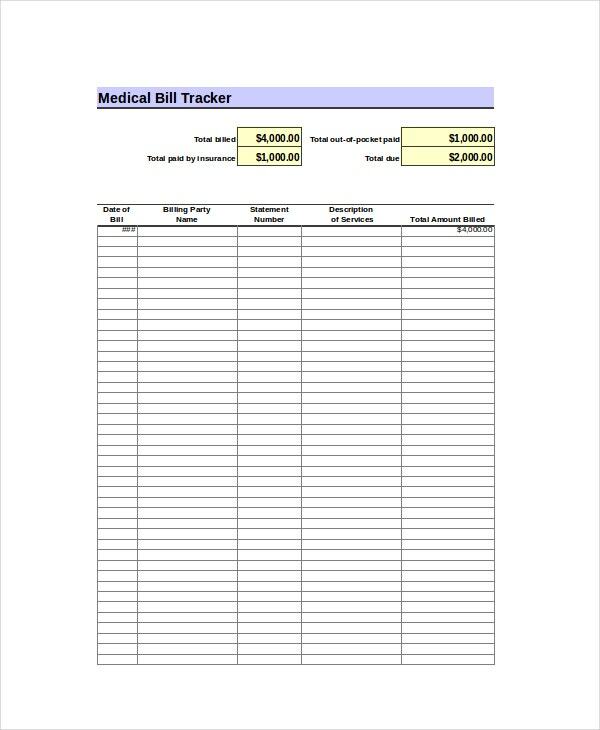 Bill tracker template will be useful for businesses like pharmacies which allow multiple payment methods like insurance. You can also see Excel Scorecard Templates. > What are the Benefits of Using Excel Bill Templates? 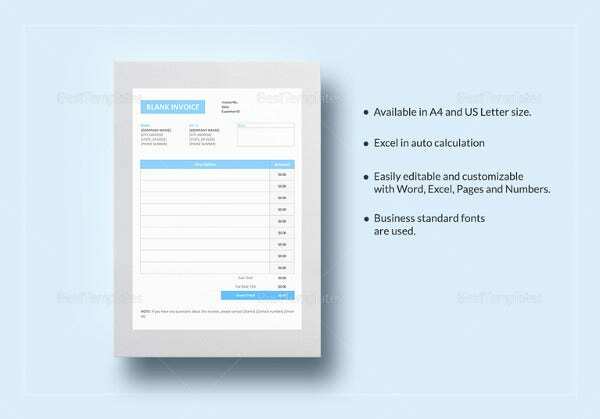 Excel bill templates have many benefits which can be crucial in creating a bill. The biggest benefit of these templates is that they are as simple as they can get. They can be easily understood by a layman and are extremely easy to use. 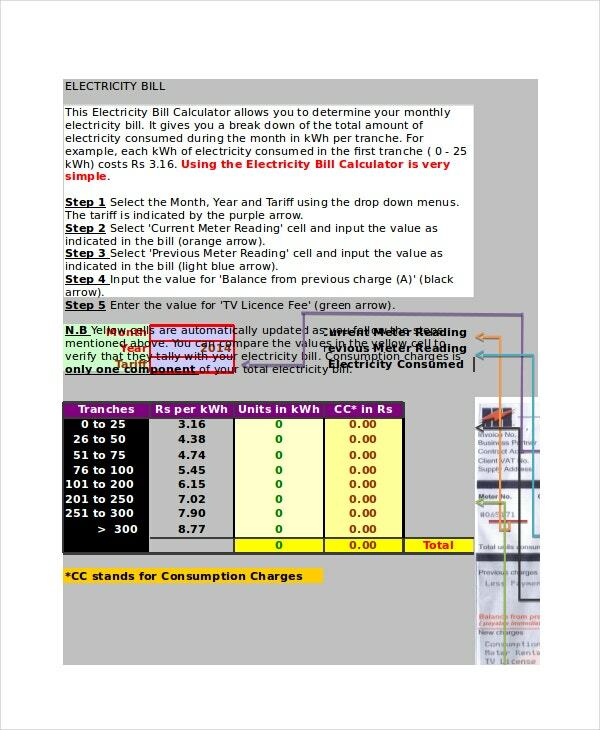 They come with crystal clear guidelines which can be beneficial in helping create your own bill. 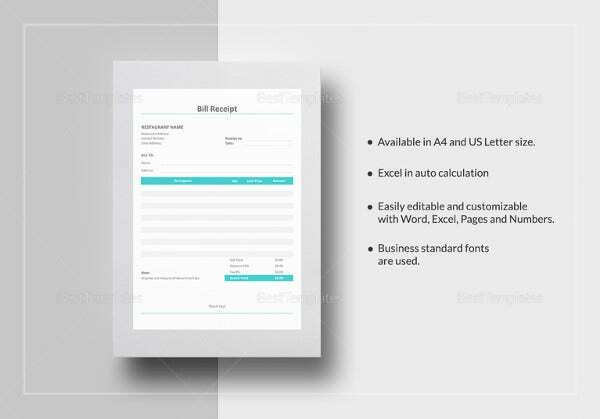 These bill templates will also save you a great deal of time. 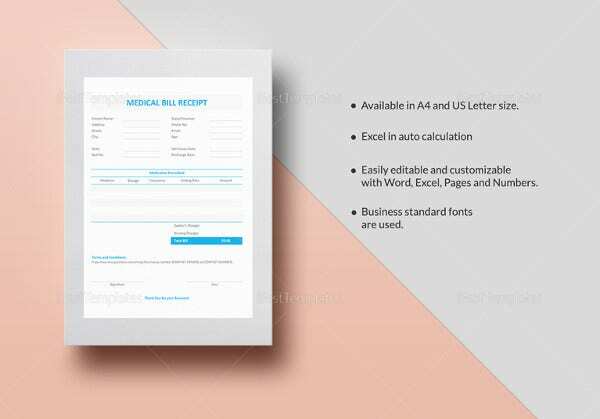 Using these templates can enable you to create a bill in a matter of minutes instead of you having to take hours designing the format of the bill. You can also see Excel Cash Flow Templates. If you want to create receipts to be given on transactions, you can make use of Excel receipt templates. Excel bill templates are of various types and each type is the best fit for a particular type of business. Check out all the templates given above and choose the one you find best suited for you.